﻿ The Regent Phuket Bangtao Beach (Thailand) | FROM $32 - SAVE ON AGODA! "The location is perfect just 10 min walk to the Boat avenue..."
Have a question for The Regent Phuket Bangtao Beach? "Very quiet and unassuming hotel." "Good place, wi-fi working, clise to restaurants!" 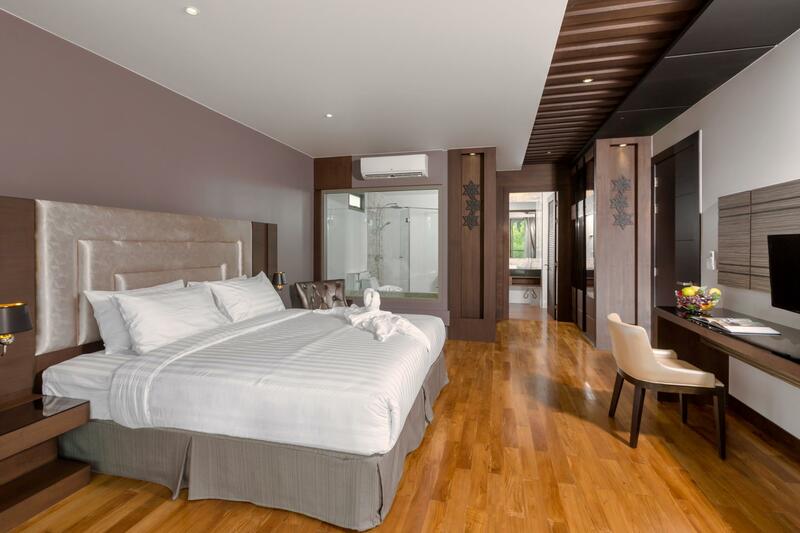 "One of the best hotel near laguna"
"Room was a good size and facilities ok."
Experience all Phuket has to offer during your visit to the Regent Phuket Bangtao Beach. The property features a selection of facilities for you to make use of throughout your stay, including a golf course, an outdoor swimming pool, a hot tub, and a tennis court. It is near Milan Tailor Ltd, Canal Village Shopping Centre, Bang Tao Beach, Laguna Phuket Golf Club, and Wat Choeng Thalay. 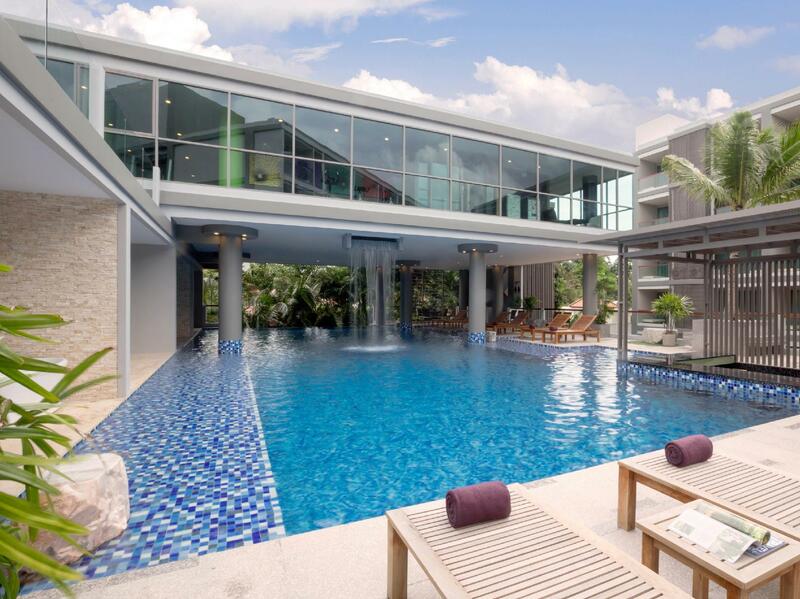 The Regent Phuket Bangtao Beach has air conditioning, a kitchenette, slippers, and kitchenware. It also has bathrobes, a microwave, a bathtub, a mirror, and other amenities. It is equipped with a dryer and a hair dryer. With city and garden views available, this property provides pleasing scenery for guests to enjoy. It has several convenient features, such as a currency exchange, a smoking area, as well as safety deposit boxes. 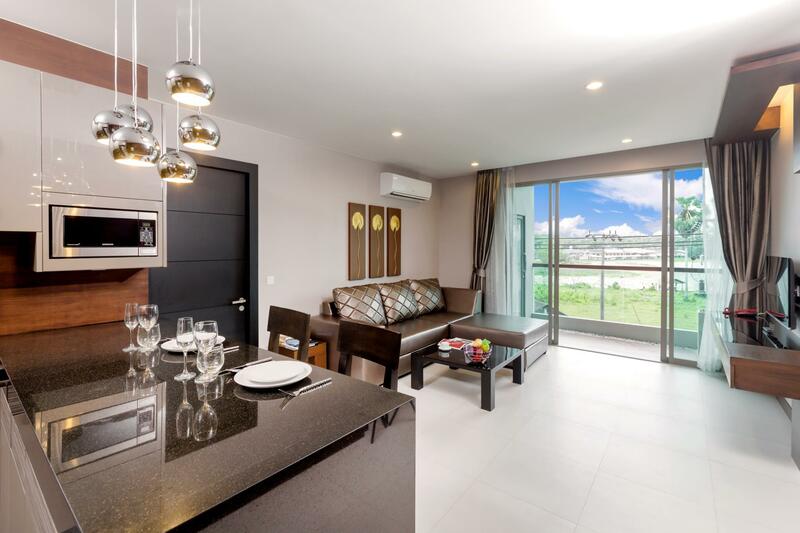 The Regent Phuket Bangtao Beach provides an assortment of transportation options, such as airport transfers, shuttle services, bicycle rentals, car rentals, and taxi services. The property features a bar, a shared kitchen, and restaurants on-site, so there is an assortment of dining and snacking choices. With Thai and Asian restaurants nearby, you can choose your favorite cuisine. Try the food at Alex and Luna, Sangswan Resort and Restaurant, Ruean Thai, Blue Siam, Oriental Spoon or other local eateries. The property offers horseback riding, so you can see Bang Thao from the saddle of a horse. It offers access to canoeing, so you can go for a beautiful row and see the stunning landscapes. The Regent Phuket Bangtao Beach also offers snorkeling, tours, and many more activities. Located at an amazing spot for diving, it is great for guests that wish to explore the marine life that this area has to offer. 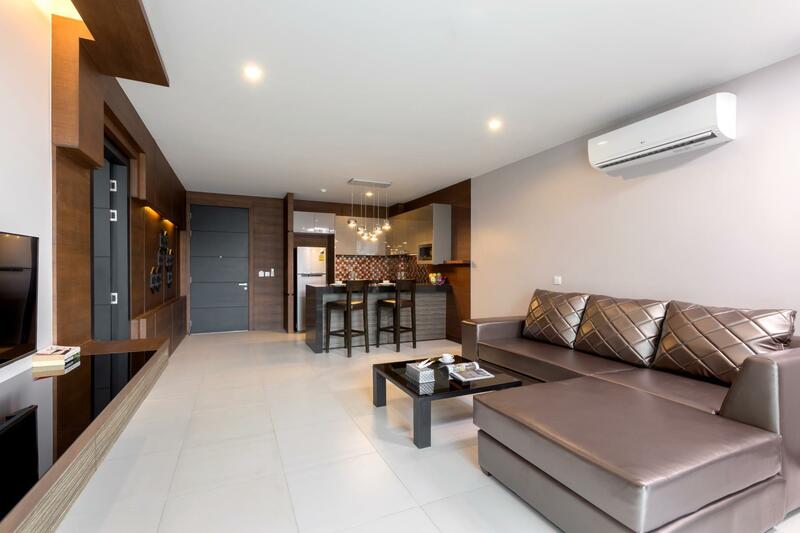 The Regent Phuket Bangtao Beach provides a range of useful services, which include a concierge, laundry services, luggage storage, daily housekeeping, and a babysitting service. 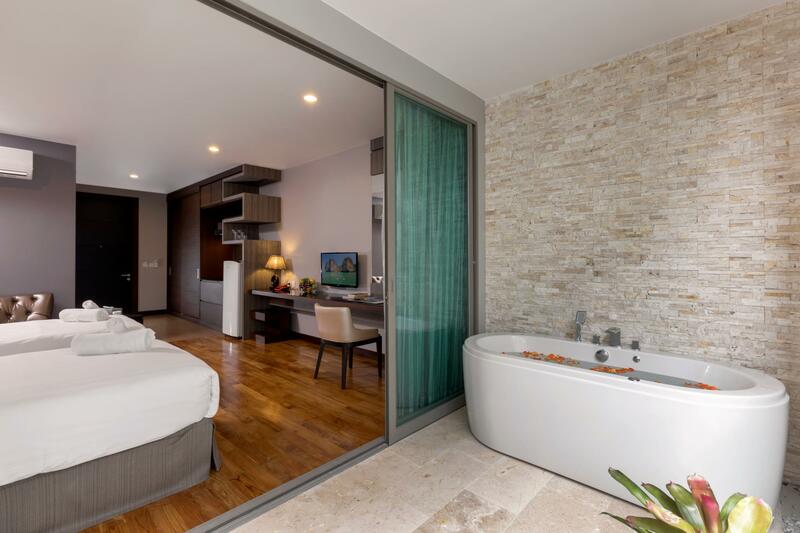 The Regent Phuket Bangtao Beach features family rooms, so your family will have ample space to be together. English, Italian, Thai, Mandarin, and Russian are spoken at this accommodation. There's free Wi-Fi available in all rooms, as well as Wi-Fi in common areas, so guests won't have to worry about purchasing a local sim card. The Regent Phuket Bangtao Beach offers private and 24-hour check in and check out, enabling you to conveniently choose the option that best suits your needs. The hotel was very close to boat avenue and I could have pleasant stay there. Room was a good size and facilities ok. Mire a condotel rather than a hotel with many long term residents and busloads of tourists fromThe mainland . Breakfast looked poor . Biggest disappointment was checking out to find that on day 1 we had stained the towel and pillowcase and was given a bill.fir full replacement value I had been there 1 week , they claimed they had washed them, which one look was obviously not the case . I had to go and spend 5 minutes handwashing the stains out which was easily done . But annoyed at the scam at checkout . Please avoid this cheap scam at this place or be warned !! Sorry for the big-caption, but me and my family were very pleased to stay here. We took the 2 bedrooms with jacuzzi and the room was sooo nice!! It was clean, very spacious, lots of amenities and cooking-ware.. The breakfast was good enough, but felt awesome with that price.. The staff were also attentive, even though the breakfast served at 7 am, but since we were gonna picked up at 7 am, they allow us to have breakfast at 6.30!! Isn't that great? The only downside is the area is not as crowded as Patong Beach, but it is very quiet and tranquil to stay here.. Will recommend to stay here and Definitely one of my choice to stay in Phuket!! Superb!! My partner and I went for a spontaneous weekend away here, when we pulled up we were really excited as it looks amazing. However, when we went to reception desk we were immediately disappointed. The lady behind reception was extremely unhelpful and a little rude. We even went back a second time to ask for an iron to be greeted by the same rudeness. Its a shame as we love the hotel and surroundings but i'm not sure we would stay here again because of the staff. Clean and spacious rooms. Best bathroom ever. Big kitchen. Wonderful for families. Book during offer period. Totally value for money. The is no bell boy to carry your bags. The air conditioning in my bedroom was not cooling. The toilet, shower and bath very dirty. I paid 5500 baht for 1 night for 2 -bedroom suite, with no breakfast included, I expect the room is clean at least. Stayed for two nights in the relative new condo/hotel. Pros: Big and comfortable bed, bathroom and kitchen. 5 minute walk to Villa Market where there's a few restaurants/bars and a supermarket. About 10 minute walk to Laguna Resort. The gym was well equipped but one or two weight stations were spoiled. Helpful reception staff to give directions and services. Cons: Nice pool but water was not very clean as my boyfriend had skin rashes after swimming in it. I was disappointed with the Jacuzzi as it was not very clean and wasn't working. The kettle was dirty and the utensils in the kitchen weren't too clean for a relatively new hotel resort. The electric stove and design of the kitchen was not user-friendly, however we managed to make use of the kettle and microwave to cook some simple meals. The stay could have been more pleasant with better maintenance of the facilities and cleanliness.